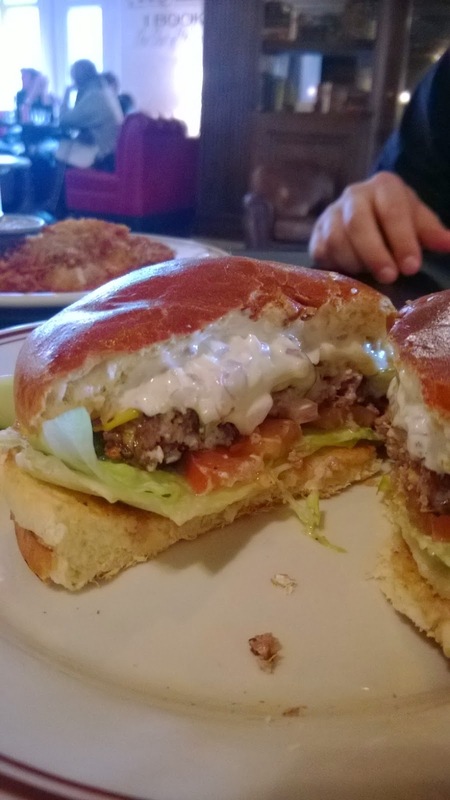 Dillman's Chicago opened up not too long ago and it's utterly insane that Charlie and I haven't been yet. It's literally a five minute walk from our condo and I've heard nothing but fantastic things. In fact, my friend Katie says their kale salad will "make you cry." It did, Dillman's. It did indeed. 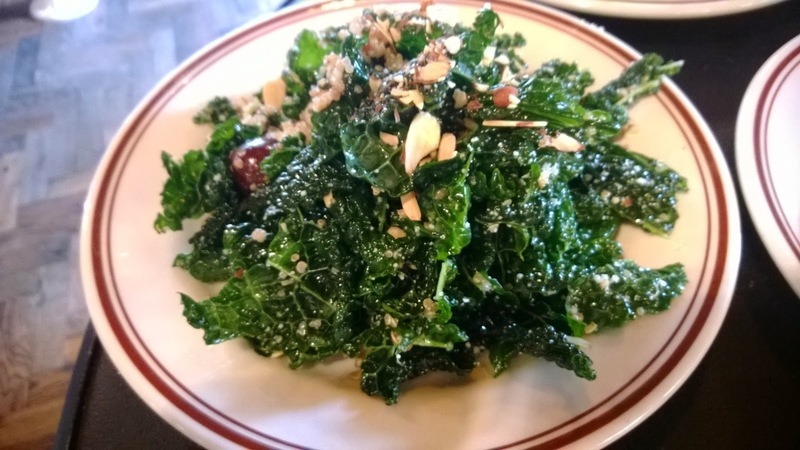 The raw kale salad comes with toasted almond, quinoa, parmesan, mint, and sherry vinaigrette. Don't worry. This was the only slightly healthy thing we ordered. This is their burger. OH MAN. Their burger. 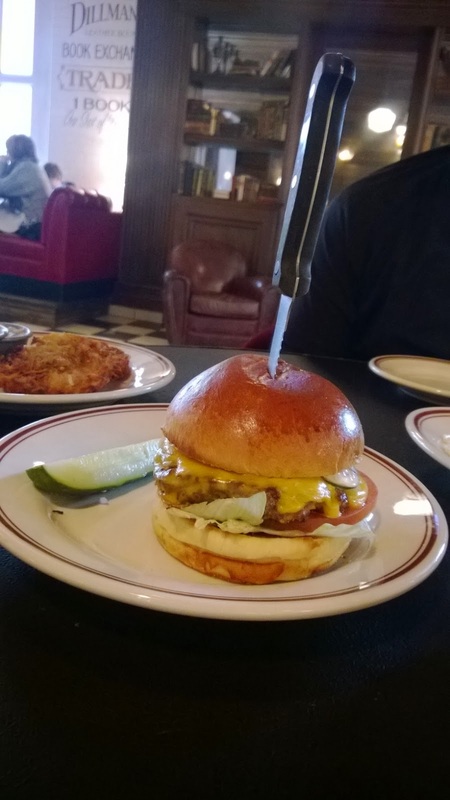 The same owner of Au Cheval owns Dillman's, and I don't know if you guys remember, by I posted about the burger from Au Cheval forever ago and still think about it. This was just as good. Speaking of crying, my mouth is crying tears of drool. 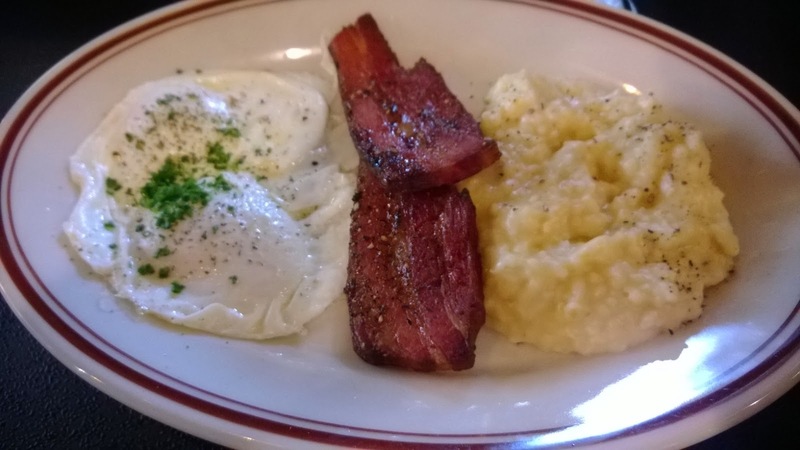 This was the bacon and grits. I was scared to eat the grits. I could basically smell the cream and butter...divine...simply divine. The bacon was thick cut, slow cooked and then crisped up. Just how I like it. 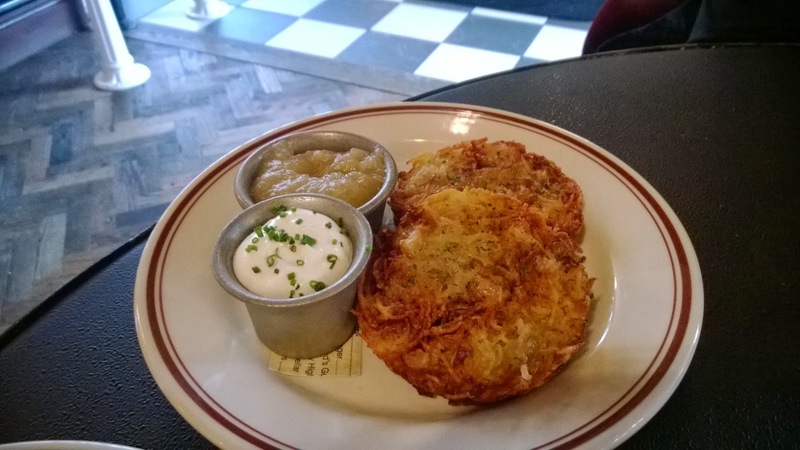 SO when I was going bonkers over the burger, Charlie was going loco over the latkes. Deep fried, crispy, with just the right amount of onion mixed in. Savory with the perfect touch of sour cream and apple sauce. Forgettaboutit. I wish I never tried this place. Because I'm going to be there NON STOP. Nice work, Dillman's. See you next weekend.